It is the first time that Dr. Hong, Tao-Tze, the president of the Federation of World Peace and Love (FOWPAL) and Zhang-men-ren of Tai Ji Men, led his cultural goodwill delegation to the Czech Republic in October, 2017. Czech Republic is the 78th country that the FOWPAL visited to promote love and peace. On Oct. 24, they visited Prague Castle, the official residence of the Czech president, Prague City Hall, and Charles University, which represent important political, civil and academic center, respectively. 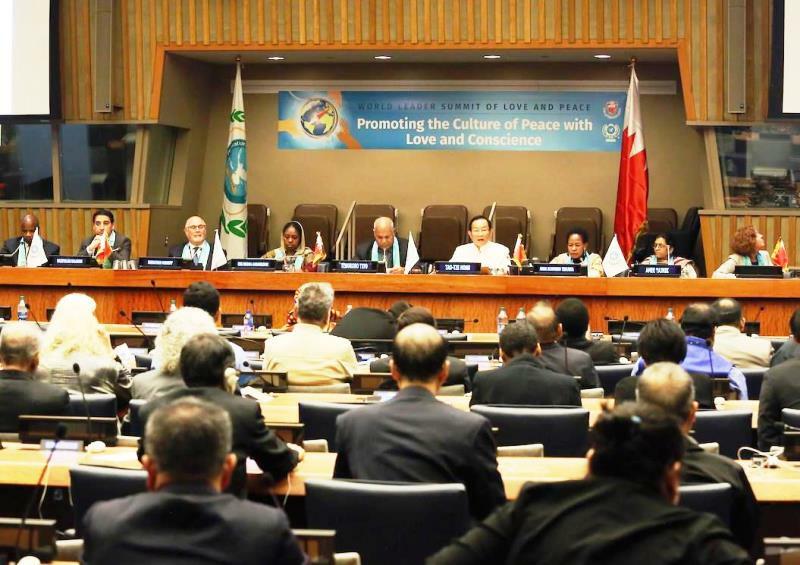 The Ministry of Foreign Affairs and the Ministry of Culture of the Czech Republic both sent representatives to receive the Cultural Goodwill Group of World Peace and Love, whose members shared tremendous achievements and experiences of promoting the movement of An Era of Conscience around the world especially. Dr. Hong, who places great emphasis on education and culture, has dedicated himself to global sustainability for a long time. He has led the delegation to attend conferences across the planet, including the 2002 Earth Summit on Sustainable Development in Johannesburg and the 2012 Rio+20 (United Nations Conference on Sustainable Development) in Brazil. On this trip, Dr. Hong especially visited to the founder and director of the Charles University Environment Center, Professor Bedřich Moldan. Charles University is one of the top 100 universities in Europe. It is the largest university in the Czech Republic and also the oldest university in Central Europe. Many scholars and scientists and even four Nobel Prize laureates are alumni of this school. The first and the second presidents of Czechoslovakia, Tomáš Garrigue Masaryk and Edvard Beneš are also alumni of Charles University. 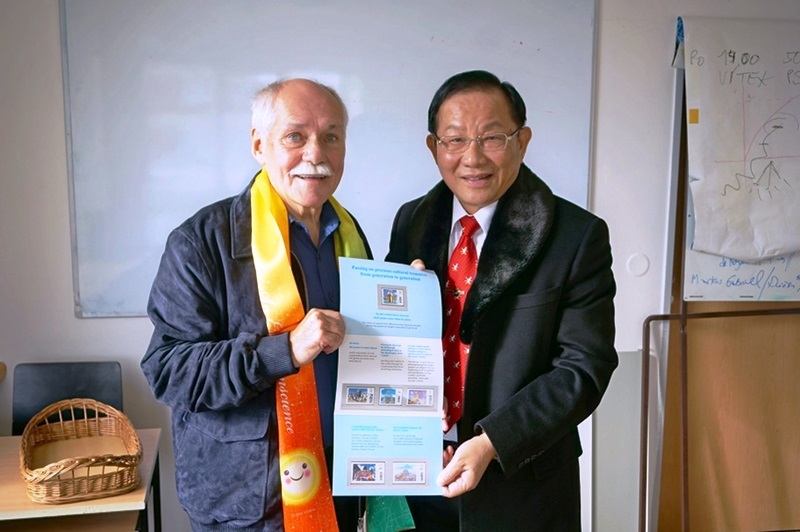 Dr. Hong, Tao-Tze (right) met with the famous scholar and politician, Professor Bedřich Moldan (left) to share the message of love and peace. Professor Moldan is an outstanding environmental science professor. He is not only a scholar, but a politician; he had served as the first minister of environment of Czech Republic; moreover, he is also a founding member of the Civic Democratic Party. 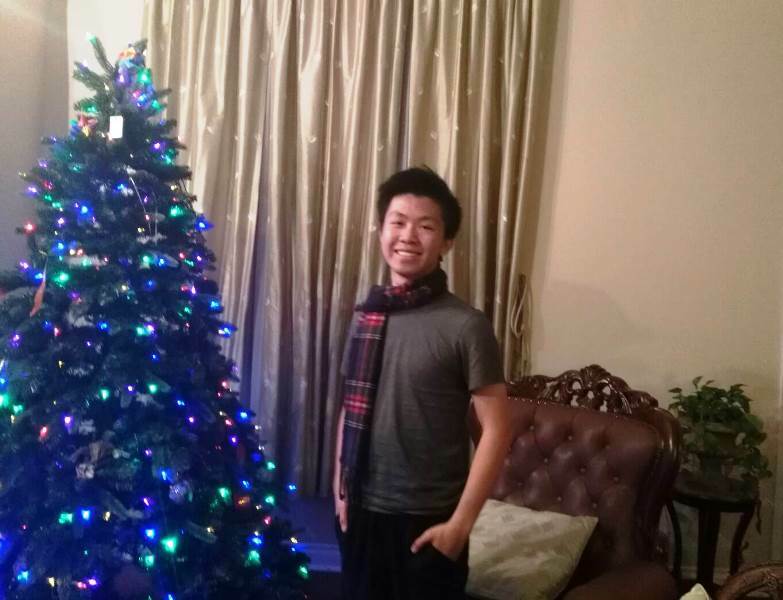 Dr. Hong and Professor Moldan had a wonderful conversation. 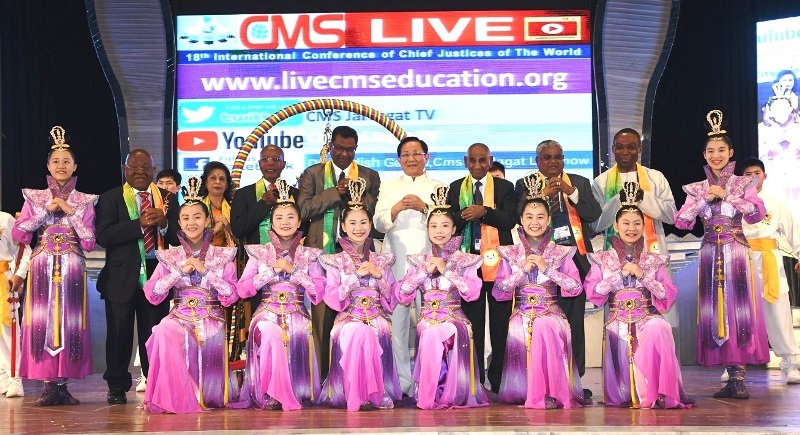 Dr. Hong shared the true meaning of Eastern martial arts: The highest level of martial arts is about “how to stop wars,” which is settling conflicts and promoting goodness. Dr. Hong mentioned that everyone has two types of tools in hand—one is a gun, the other is a pen. With a pen, everyone could write positive work to help the people around the world. Currently, the Czech Republic is in political turmoil; the promotion of peace is even more important. Professor Moldan thought that the meeting was a very special experience, and he expressed gratitude for the efforts of world peace. Ms. Martin Churavý (second left), director of international public relations of Prague City Hall, received the Cultural Goodwill Group of World Peace and Love and expressed her gratitude for Dr. Hong’s dedication to promote cultural exchanges and bring people much closer. delegation. 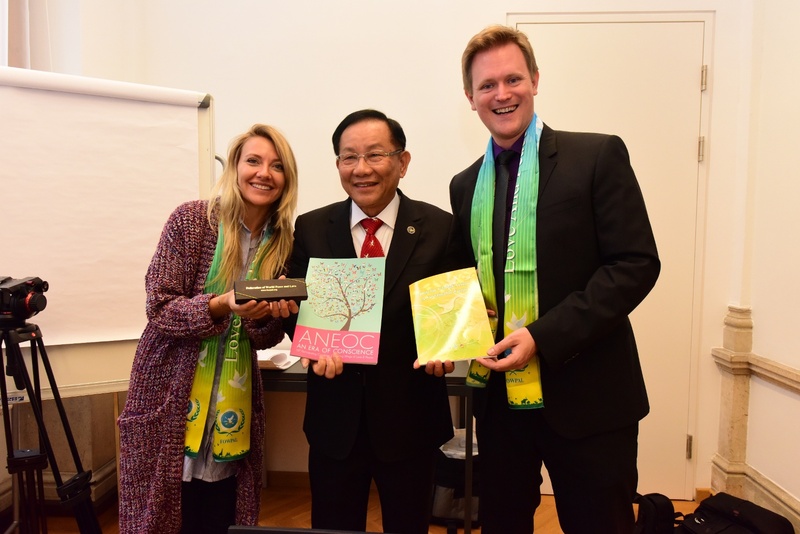 Dr. Hong especially presented to Ms. Churavý a collection of the transcripts of his speeches given at the United Nations annual conferences. 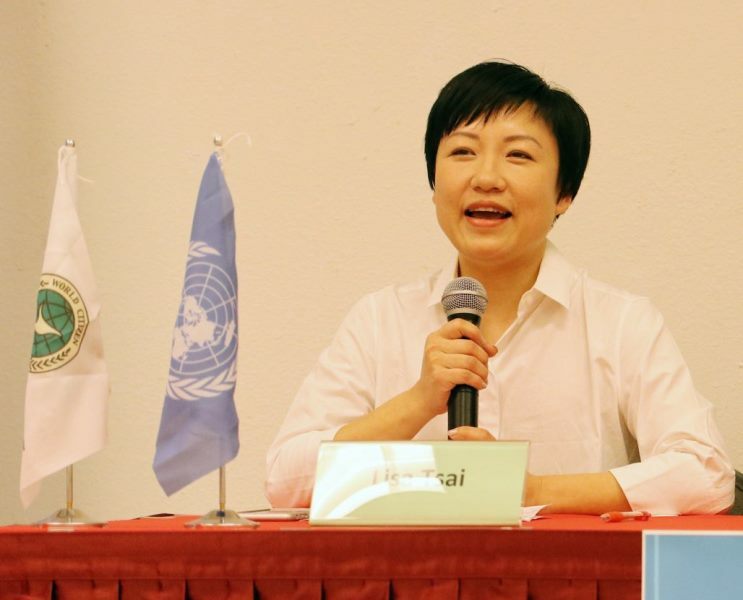 Dr. Hong also shared experiences of attending the Annual UN/DPI NGO conferences, hosting World Summits of Love and Peace, and consolidating visionaries’ thoughts and concrete suggestions to the UN for a better world. He also mentioned that FOWPAL has been dedicated to cultural exchanges for a long time, which surpass language, racial, and national boundaries, and establishes many international friendships Ms. Churavý agreed that smiles are the international language that surpasses language and national boundaries and that smiles also express the most direct feelings between hearts. The secretary of the Ministry of Foreign Affairs of the Czech Republic, Ms. Michaela Hriechova (left) received the members of Cultural Goodwill Group of World Peace and Love and thanked them for bringing love and peace to Prague. 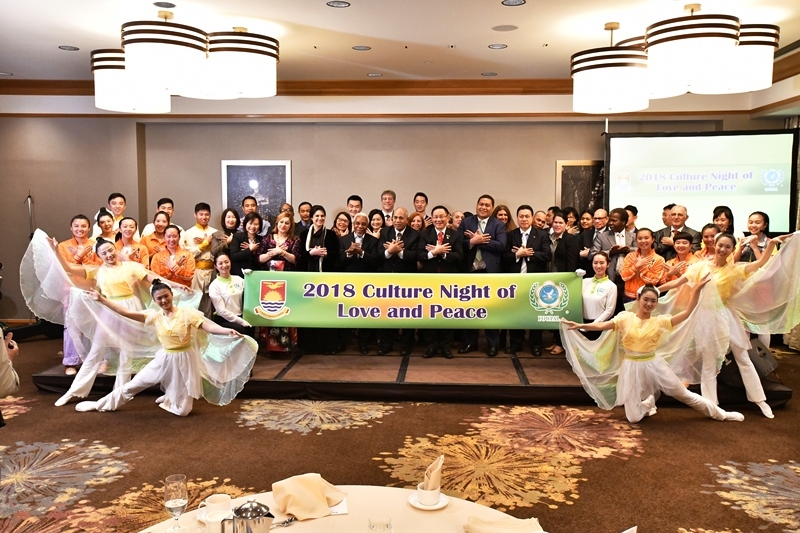 The secretary of the Ministry of Foreign Affairs of the Czech Republic, Ms. Michaela Hriechova said she felt delighted to welcome the Cultural Goodwill Group of World Peace and Love and expressed her gratitude to them for bringing love and peace to Prague. Representative of the Ministry of Culture, Mr. Jiri George Pilip happily took a picture with them, leaving a record for the sincere international exchange, as he learned that they came from all around the world and brought the message of peace. Representative of the Ministry of Culture, Mr. Jiri George Pilip received the members of delegations and took a picture with them in front of the magnificent architecture; seeds of peace were planted in Prague. 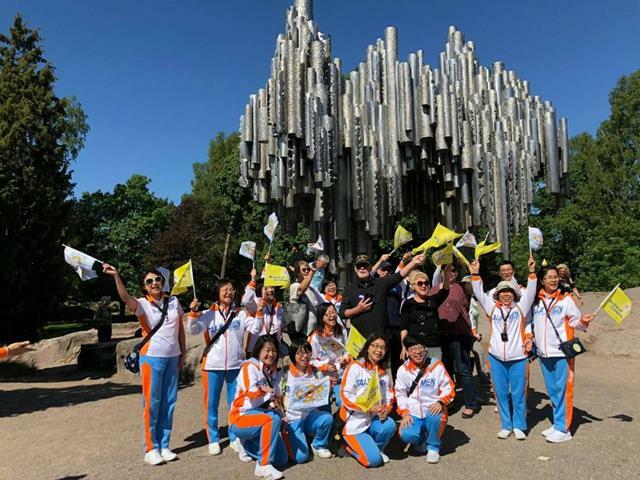 addition to visiting government agencies and officials, they also visited castles and small towns to get the feeling of the local history and culture. Although they do not speak Czech, the members of delegation happily interacted with the residents and shared the movement of An Era of Conscience. All of them were warmly welcomed by the local communities. 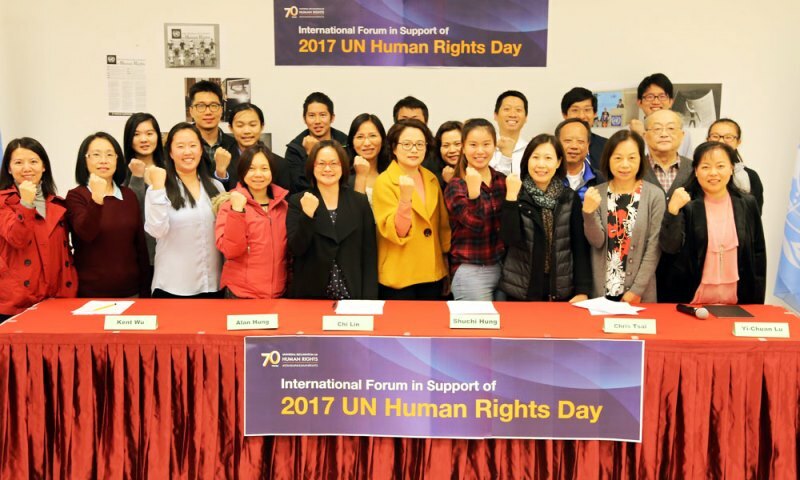 On the evening of December 9, 2017, the UN NGO Association for World Citizens hosted an international forum on “International forum in Support of 2017 UN Human Rights Day” in Cupertino, Silicon Valley, California to respond to UN Human Rights Day.